Yixin expanded the campaign of providing the free data packet. All of Chinese mobile users have a chance to get 300MB data packets. As I explained before, the own IM tool of Alibaba 'Laiwang' started to provide the free data packet to their users, but Yixin also expanded the similar campaign. The target users of this campaign are not only included China Telecom users, but also is included China Mobile and China Unicom. But there are some different conditions between China Telecom users and other 2 careers to get this service. 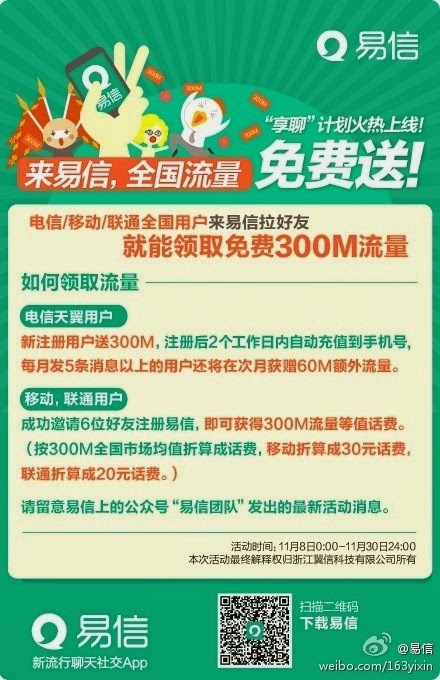 China Telecom users only register Yixin, and then they can get 300MB free data packet. And if the user will post messages more than 5 times, then they can get 60MB free data packet every month. China Mobile and China Unicom users invite the 6 acquaintances to Yixin, and then they can get the 300MB free data packets. And they don't have the chance to get the 60MB gift every month. It seems that there is not the limitation by area like the campaign of Alibaba. 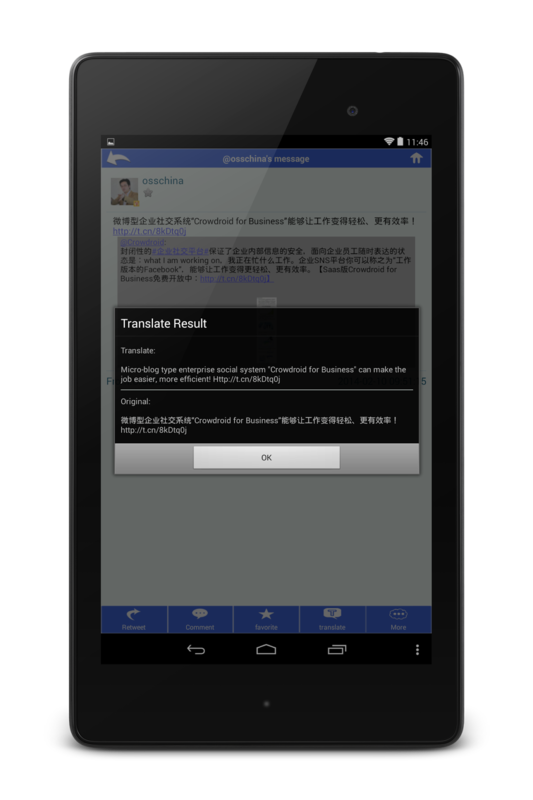 Laiwang and Yixin started the similar campaign to get more users. Then how about WeChat is? It seems that the battle space of IM tool in China is not only the function field, but also was added the service field. Let's keep watching their actions and the trend of this industry as ever.